We’re not sure anyone ever asked for a phone built around YouTube, but it seems like Google might be thinking of making one anyway, if a survey is any indication. 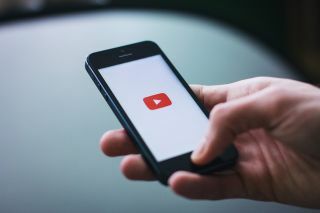 An Android Authority reader has reported receiving a questionnaire which describes a handset with a number of YouTube-focused features, such as one called ‘YouTwist’, which would throw up a grid of suggested YouTube videos when you turn your phone to landscape orientation. A hardware button on the side meanwhile would apparently give you instant access to YouTube or let you record your own YouTube videos at the push of a button, which is sure to go down just as well as the dedicated Bixby button on the Samsung Galaxy S8. Other possible features include having video thumbnails on the lock screen which you can tap on to head straight to them, and a similar feature with YouTube accounts appearing at the top of the home screen. The survey apparently listed upper mid-range specs including a 6.01-inch 18:9 2,160 x 1,080 screen, 4GB of RAM, a 2.2GHz chipset, dual rear cameras, a 3,700mAh battery and a price of between £269 (roughly $360/AU$470) and £299 (around $400/AU$525). The phone was referred to as the ‘YouTube Edition’, but also things like the ‘YouTube Edition by Samsung’ and the ‘YouTube Edition by LG’, so it sounds like Google hasn’t set on a hardware partner yet. In fact, it’s probably not even set on making the phone, given that this is simply a survey presumably designed to gauge interest in such a product. And given the failure of just about every other phone built around a specific brand or service (such as the Amazon Fire Phone and HTC First), we can’t imagine interest will be high.